Responsive Design - Why Your Website Needs It! Responsive Design – Why Your Website Needs It! 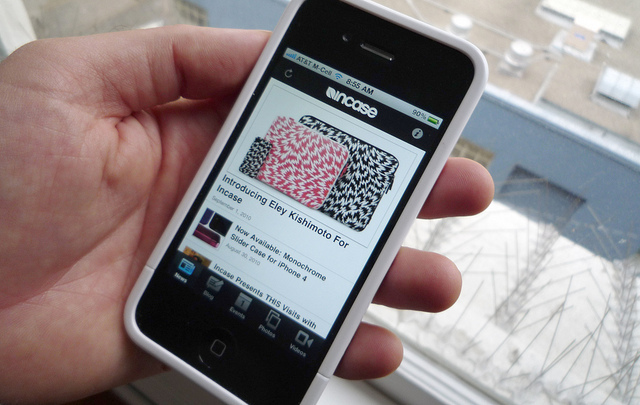 If you haven’t already decided to go mobile with your website, now is the time to do so! Most people have a smart phone and use it to view websites on-to-go or when they are pressed for time somewhere. Websites that appear on a mobile device are different from those that you view on your computer. You can build a mobile site, or you can use responsive design, which makes your website viewable in all mobile devices without that additional mobile site. Responsive design uses the size of the browser’s window to rearrange the elements on the screen so that it is easy to navigate and browse. So although the website is the same, the look will be different. The theme elements and graphics will be the same, but it will appear in a different layout and size. A huge advantage of having a website with responsive design is that you can open it up to a whole new audience. Some people do not have access to a computer or do not use it as often as they have access to. Looking things up on a phone is quick and easy (if the website allows so). If your website allows users to easily view your site on their mobile devices, you are opening up your business to a whole different market. They will also be more likely to revisit your site, since the easy access makes for a pleasant visit. Top search engine, Google, recommends certain practices for responsive web design. Since they are a leader in the industry, most websites will follow these recommendations. As more and more websites look to Google for guidelines, their recommendations become more important and effective to all websites. Also, because of advances in technology, this mobile design is easy and affordable to accomplish. You can find affordable designers who can help you with this, or you can find some tools and themes that are also easy to use. Everywhere you look, someone is guaranteed to be on a smart phone or tablet. They are most likely browsing the web – on mobile friendly websites! This is where you want to be – accessible to them! Since it is easy to get done and affordable, there really is no excuse. Make your mobile website just as good as your desktop version with responsive design!